Be the envy of all your competitors by creating the best-looking basketball team, coach or player website on the internet today. We have included features and services that will improve productivity, organization, communication and efficiency. Your Coach / Team Hoopsynergy Membership allows you free access to download all (20) best-selling ebooks from veteran basketball coach Jamie Angeli. Any new books developed each year are automatically added to your account at no extra charge! Over the past several years, thousands of coaches have enjoyed unlimited access to Scoutinghoops.com, Hooptube.org, Shootathon.com and Storybookchampions.com. 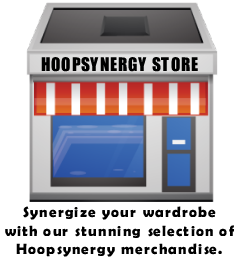 All (4) memberships are included in your Coach / Team Hoopsynergy Membership! Want to be considered for Hoopsynergy Site of the Month? Submit your website by clicking here! I just received my copy of the Flexible Dribble Drive Offense (Ebook version FREE with your Hoopsynergy Premium Membership) and I am truly excited to get started implementing this system. With Hoopsynergy you can easily create your own professional sports website in minutes. No need to have any knowledge of making a website. We built Hoopsynergy to include a simplified, step-by-step interface, allowing the novice user the ability to create a beautiful website. The website builder was created to be as user-friendly as possible while allowing for total creative freedom. The best way to learn how to make a website is to follow our easy site building steps then simply click, add or replace and customize. You won't believe how easy it is to create a site from scratch by simply adding items like headers, logos, text, photos, images, pre-built pages and more. Your site is instantly live and available online. As all websites built with Hoopsynergy are search engine friendly, you will be found on search engines and enjoy traffic from an online audience interested in you, your program and your free website.